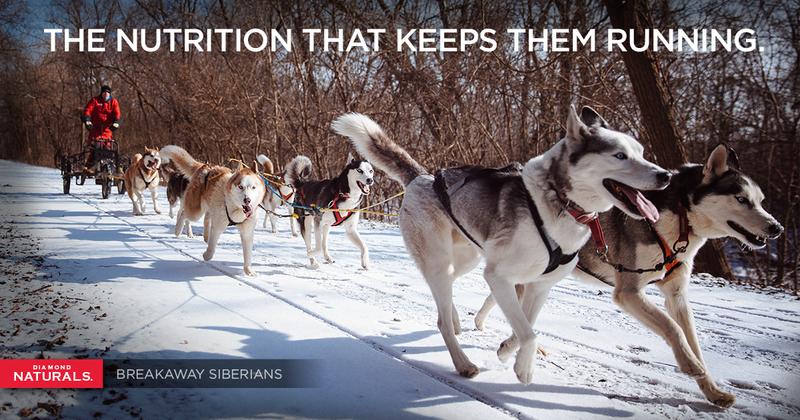 In January, we introduced you to the Breakaway Siberians, a sled dog team made primarily of rescued dogs that live and train in not-so-sled-dog-friendly Missouri. In the ensuing months, you’ve met many of the Breakaways individually. With training season gearing up and racing season just around the corner, let’s check back in with trainer Richie Camden and his quest to complete a 90-mile race with his underdogs. Richie’s ultimate goal is to provide happy, healthy lives for his dogs. He can’t do it without proper nutrition.